As Seen In My Scrapbook| Life Papercrafting: I WAS PUBLISHED!!! I keep forgetting to post this layout I had submitted to a Canadian Scrapbooker page call. I was thrilled to receive an email requesting this layout for the Spring edition of the magazine! I'm so grateful to Canadian Scrapbooker for giving me this opportunity! 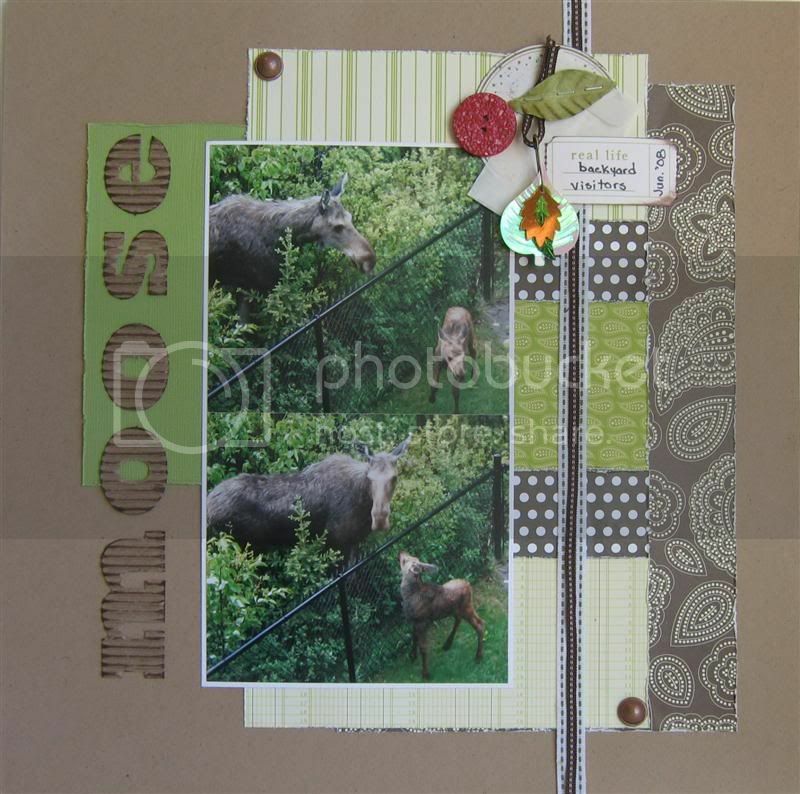 This layout features photos of a baby and momma moose in my backyard in June 2008. What you don't see in the photo are the city police who were called when someone reported a "cow" in our yard, it wasn't us, we figured they'd leave eventually. We chuckled when one of the officers went to the backyard with his shotgun in case he had to prevent "property damage". We remarked after that it's our property and we were okay if something was damaged but I suppose there are certain protocols they must follow. I used supplies from a Scrapshotz monthly kit, predominantly Jenni Bowlin along with some Making Memories!